Whether your goal is to relieve pain, improve mobility and posture, greater performance in sports & exercise or to reduce stress and enhance general health & well-being – Paul will work with you to listen, assess and tailor each treatment to your individual needs. Paul’s experience in traditional martial arts and meditation spans decades and has taken him throughout Asia, in particular to Thailand and Japan as well as to study an authentic system of Chinese massage for joint mobilisation in Taiwan. As a certified Tai-chi instructor Paul practices and teaches methods to develop and refine body mechanics, posture and movement. The particular skills associated with this practice make Paul’s approach to remedial massage and body-work effective and unique. 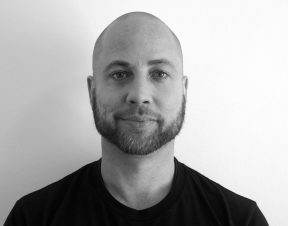 Paul holds a Diploma of Remedial Massage and is enthusiastic about ongoing learning and professional development in the field of health science that will enable greater outcomes for his clients.